What can I say? George is at his best right now, and he only gets better!! Looking at all 34 pages of artwork, you can tell that a lot of love and work went into the first issue. My comic book store, Outpost 2000 reported that by 12 O'Clock that all his extra SOLUS #1 were completely sold out. He had to get back to Diamond and reorder for next week's shipment. I'm assuming that this phenomenon is happening all across the state, which means that CrossGen's rank might change on the top 100 comics. Incidentally, SOLUS #1 was the number three "Independent Top 100 Comics". It was right under two TRANSFORMERS comic book. As you know TRANSFORMERS was ranked #1 on the regular top 100 several months in a row according to Diamond, so it's actually no surprise that it is the number one Indie book. Still, number three is very high up there. Sadly, like all ongoing series, these books almost never climb in rank on the top 100. So, anyway, if you're a regular visitor to this website, you've probably already seen a majority of the pages in the SOLUS #1 PREVIEW, but let me tell you that the colors really add a whole new dimension to it. The first issue shows Andra waking up from the cosmic battle to find herself in a world that's consumed by a video game. Something like a MORPG (you know, "Everquest"), and the all the world's addicted to this game. I won't give away too much of the story, but basically she is going from world to world trying to collect pieces of herself. SOLUS #1 is another brilliant addition to your Pérez collection. Andra Radiant is putting the pieces of her life back together. The problem is that they’re all scattered on different worlds! Watch as Andra goes from pulp hero to barbarian warrior, changing identities as she tours the worlds of the CrossGen Universe in search of herself. The answers she finds will change her life – and change the universe forever! I can't wait for March 26 to come by! That Wednesday, look out for George Perez' long awaited Solus #1. After having struggled with his health quite a bit, Master Perez comes out of hiatus to work on a new monthly title... which gives Perez' his own Crossgen sandbox to play in and which makes good use of the ever-popular artist's endless imagination and ability to draw amazingly detailed panels. Then again, it wouldn't be a trademark Perez comic if those typical characteristics weren't included. The first issue is a 48-pager containing 32 pages of story by Barbara Kesel and stunning art by Perez. In order to make you drool a little more, check out the 3 exclusive preview images of Solus #1. Note: please make sure that you keep away from anything that runs on electricity, as even slimy water doesn't mix well with electrodes. Solus features Andra Radiant, a character who explores the different worlds of the Crossgen Universe to try to re-establish order in her life, something that won't be an easy task. Look for Andra to encounter Aden of Quin and Brath, among others, in Solus' first story arc. 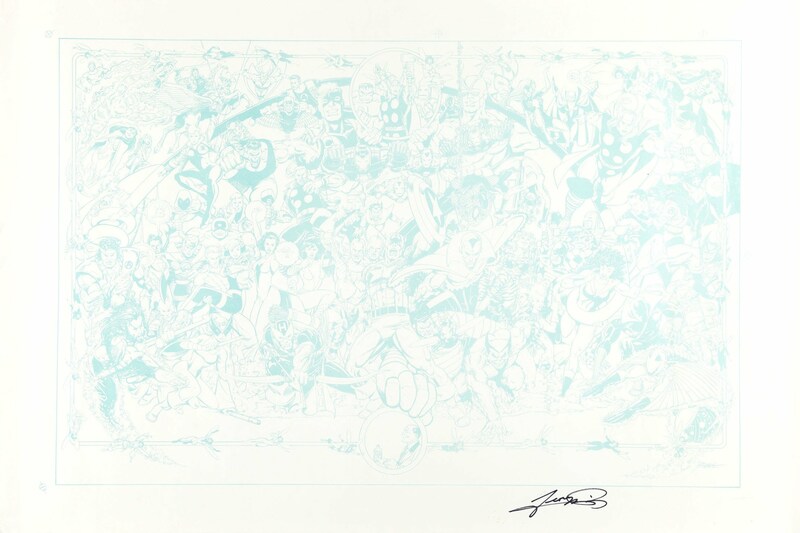 2003 looks to be a pretty exiting year for George Perez, because not only will he pencil this new monthly title, he's also still very busy pencilling JLA/Avengers, scheduled to ship towards the end of this year. Perez' new prominent role has fans buzzing with exitement, because several comic shops have reported that ever since more and more people found out about this new project, new faces have showed up in comic shops and familiar faces have been checking out other Crossgen books. And that, my friends, is exactly what this industry needs. Barbara Kesel is getting ready for her new series with George Perez, Solus, to begin this March. The series features a young woman trying to find her place, not only in this world but in the CrossGen Universe. THE PULSE: What inspired the creation of Solus? BARBARA KESEL: George. When George told us that he wanted to come back from his hiatus to a monthly series rather than the sporadic CROSSGEN CHRONICLES, we started brainstorming a series that would take advantage of Georges limitless imagination and the scope of our only slightly more limited universe. George wanted his own world; I'm not stopping at one. THE PULSE: Solus, like Meridian, is the name of the world of its main characters. Why call this world Solus? KESEL: It gains its name from the energy it holds. That sentence will probably make more sense after issue #1 comes out. THE PULSE: Solus means alone, how does that definition fit in with the scope of this series? KESEL: Because at the center of it all is a single crucial character. THE PULSE: What does the word have to do with the heroine Andra Radiant? KESEL: The word Solus? Solus represents what Andra leaves behind as she ventures off in search of herself. Andra Radiant is who she becomes. THE PULSE: Who is Andra Radiant? KESEL: She's the hero of Heliotrope. Actually, they just know her as Radiant. She was named for a character in a MMURPG who came to life one day. THE PULSE: If the residents of Solus can't remember a time when she wasn't around the world, does that make her immortal? Is Andra one of the "First?" KESEL: No, Andra is not one of the First. And there are no residents of Solus. Yet. THE PULSE: Does Andra have a Sigil? KESEL: Andra's not a Sigil-Bearer, either. Aren't you loving these answers? THE PULSE: How is working on Solus different than your other work in the CrossGen Universe? KESEL: Just as our continuity is complicated and interconnected, although by design not so intrusive that you cant read any one of our comics titles alone, the genesis team behind SOLUS is bigger than just me sending a projected outline through the approval process. Events in this book will eventually change our entire universe, so those events start at the top: Mark Alessi and Gina Villa are involved in the 6-month projections. I'm there to take the continuity needs and craft them into a story, adding new worlds, specific universal events, personality, bits of business, and all that gooey character stuff. Chuck Dixon is involved to make sure we don't overcomplicate matters or forget to provide some meat for the average action fan, then George takes what I write in the plot, adds in our phone conversations, and delivers 200% of what he's been asked to draw. Solus #1. Atomic Comic in Phoeniz, AZ says that even people who aren't into Crossgen books are showing a lot of interest in this series because of Crossgen has been showing a lot of preview art and George Perez seems to be at the top his game. Before I begin, let me say: very, very special thanks to Jeff Prentiss over at www.outpost2000.com. If you have a moment, send him an email saying how much you appreciate seeing the preview of SOLUS #1. Diamond and CrossGen Comics sent one copy of this SOLUS PREVIEW to all of their retailers, along with their comic book shipment this week. They are black and white photocopied (front and back) and contain 17 pages of interior pages, plus 3 pages of pinup artwork (I am assuming one of the pinup is the cover to #2). 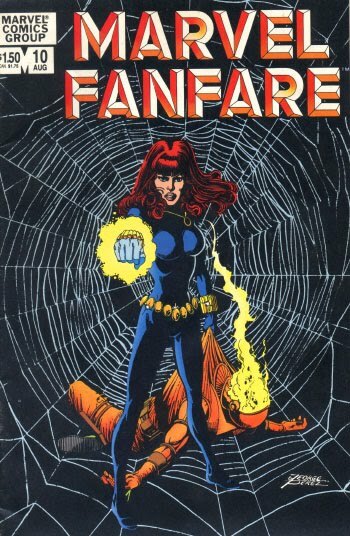 As with most cases, you can find these cheaply produced copies on sale on Ebay under either "promotional" or "ashcan". They usually sell for about $5, but I do not recommend anyone paying that much for these free promos. Instead, click on all the scans below or wait until the comic book actually ship to your area on March 26th. These images are copyrighted 2003 by CrossGen and was never intended for internet usages... if they ask me to take down the pages, I will do it. So my advice is for you to save them on your harddrive while you can. Again, I want to thank my comic book store, Outpost 2000, for being the best comic shop. You can read about my comic shop on ICv2: In-Store Gaming, Part III. An excerpt from the article: "Outpost 2000 is a pop culture store that specializes in both comic and games, located in Minneapolis suburb Brooklyn Park. In operation since 1996, Outpost 2000's layout includes a dedicated "game room" that is the site of league and tournament play for all of today's popular games.". Here are all the pages to the SOLUS PREVIEW from CrossGen Comics and Diamond Distribution.